Scottish SPCA is urging the public to ensure their pets stay safe during the warm weather. A leading animal charity has expressed concerns about the number of dogs being left in cars during the current heatwave. And the Scottish SPCA is urging the public to ensure their pets stay safe during the warm weather. The organisation has seen an 80% increase in calls to their animal helpline during the last fortnight from members of the public concerned about dogs in hot cars. The Press and Journal has learned there have been 635 calls across Scotland in 2018, but 210 of these have been made since June 18 – less than three weeks ago. 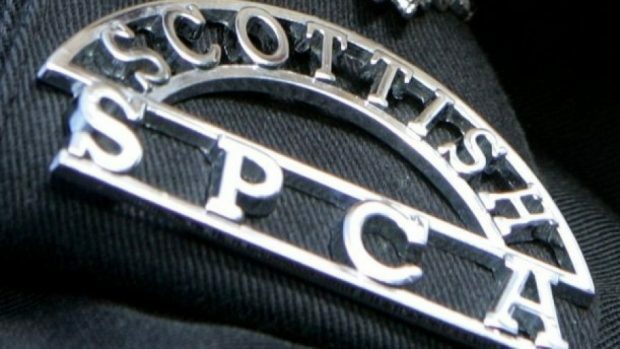 Scottish SPCA chief superintendent Mike Flynn expressed his concern about the worrying rise in incidents as it emerged a man is to be reported to the procurator fiscal after a dog was reported to be overheating in a vehicle in Caithness. Police officers were called to Loch Watten, near Wick, after receiving a report from Highland Council’s dog warden in relation to an animal left within a parked vehicle. The animal was released from the vehicle and assessed by a vet, while a 54-year-old man was subsequently reported to the Crown Office. Mr Flynn said: “We are very concerned at the number of reports we’re receiving about dogs being left inside cars during the hot weather. “Owners need to understand that it’s completely unacceptable to leave a dog in a vehicle in these searing temperatures, even for a short period of time with the windows down. “In this kind of heat, just don’t risk it. “Our advice is that owners should leave their dogs at home if they are going to be left in the car for any length of time at all. “When left at home, owners should ensure their dogs have access to fresh water at all times and that there is adequate ventilation in the room. The charity’s deputy superintendent Peter Fleming also provided some general advice for pet owners. He said: “In this hot weather, we would advise the public to ensure that their pets stay hydrated, cool and a fresh supply of water should always be available to them. “Sometimes, just keeping a window open at home or putting on a fan to let the air circulate the room will help provide a cool temperature for them. And there were hot weather tips for a range of different creatures too. They said: “Paddling pools aren’t just good for humans, dogs love some supervised time to splash about in them too. “Rabbits and other small animals love frozen water bottles or ice packs which they snuggle into to lower their temperature. “Some cats like to play with ice cubes and can drink the cold water as it melts.